On Nov.3rd, 2017 China(Macau) International Automobile Exposition was held in Cotai Expo, the Venetian Macau, China. JAC brought its main new-energy products covering both commercial vehicles and passenger vehicles, as well as the newest high and medium products to attend the exposition, among which JAC new-energy star products light-duty trucks i5，electric van i6, and pure electric compact SUV iEV7S, JAC first mini electric vehicles Iev6e have formed the strong new energy portfolio, SUV S7 and sedan A60 together showed the strength in high and medium automobile market. 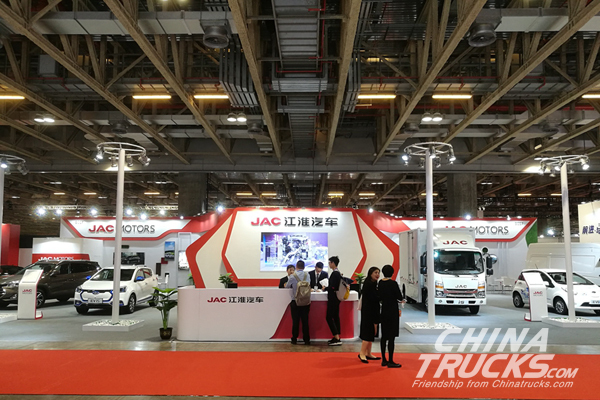 In this exposition, JAC will demonstrate its brand upgrading decision and confidence with its achievements in new energy technologies and high and medium automobile fields to the public. In the wave of energy saving and environmental protection, new energy vehicles are obviously the most eye-catching in the exposition. 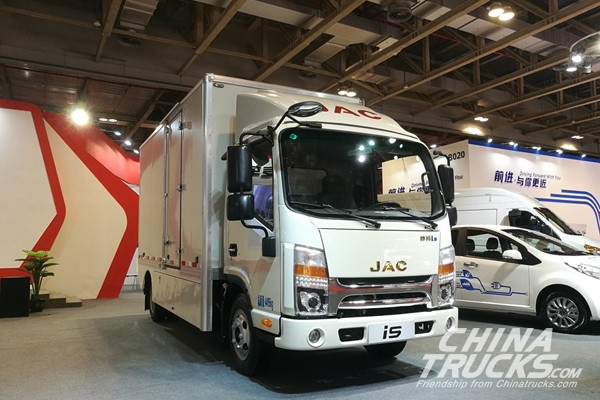 This time, the four new energy products covering commercial vehicles and passenger vehicles which JAC were showcasing have fully reflected JAC innovation and breakthrough in new energy fields. 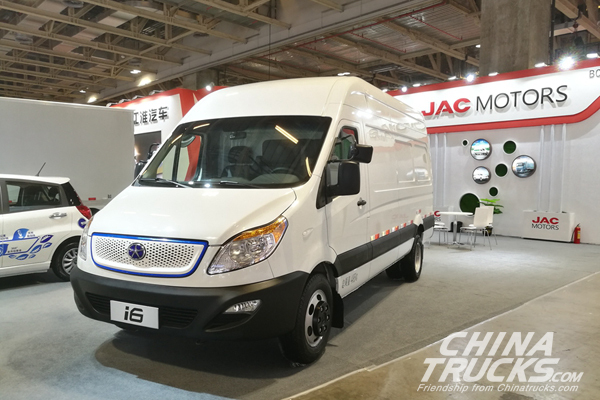 The exhibited i5 and i6 are JAC pure electric commercial vehicles. Their mileage is more than 160km with the newest technologies of remote monitoring system, energy recovery and energy intelligent management and so on, among which, i5 has integrated JAC light-duty trucks and pure electric vehicles competitive R&D resources equipped with four lithium iron phosphate battery, the maximum power of the motor driving system is 150 HP with the mileage of 180 kilometers. By using the light weighted cargo, the cargo volume can reach 15.67 cubic meters, fully meeting the demands of city logistic branches distribution, while i6 can be used for the goods of 0.5-15 ton with the cargo volume can reach 11 cubic meters with the mileage of 160 km.